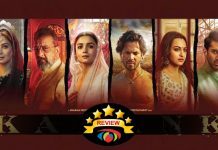 Home » Reviews » Satyameva Jayate Movie Review: In This Fight Of John Abraham VS Manoj Bajpayee, Entertainment Wins! Script written by Milap Milan Zaveri has every kind of masala in it. 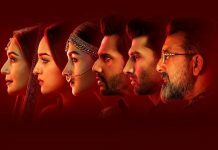 Star Cast: John Abraham, Manoj Bajpayee, Aisha Sharma, Amruta Khanvilkar. What’s Good: Some dialogues are so good they force you to make some noise, John Abraham in his ‘dhamaakedaar’ elements & Manoj Bajpayee delivering yet another entertaining performance. What’s Bad: The proceedings get a bit unentertaining post the first hour, too many flaws in the script. Loo Break: It drags a bit in the second half, so if you’re finding hard to gulp the masala in you can find some time out. Watch or Not? : Please don’t watch it through the intellectual side of your brain, watch it for unabashed entertainment. Shivansh makes the mission of his life to find Vir & arrest him and for that he sets out various plans. On the other hand, Vir always manages to stay a step further in this race of a cat & mouse. They both come with a backstory & both have reasons to do what they’re doing. Will Shivansh be able to catch Vir or will Vir achieve for what he’s blood-hunting, that’s what the major plot of the story is about. Script written by Milap Milan Zaveri has every kind of masala in it. It’s made for a certain section of audience and they’ll enjoy this to the core. Milap also makes sure to keep something for everyone. There are decent twists and turns which might he appreciated by the rest than the target audience of the film. Where the film lacks is second half as many things go haywire in it. There’s a father-son angle in the film which doesn’t work at all, Milap should’ve skipped that totally moulding something else. More than Milap the director, I loved Milap the dialogue writer. Satyameva Jayate has one of the most seeti-provoking dialogues in the recent times. Moment of truth – there is a lot of cringe throughout but it promises entertainment and it’s the only thing that matters to me in a film. Also, one major thing I observed was the plot is blatantly similar to Akshay Kumar’s Gabbar Is Back. John Abraham is A MONSTROUS performer! Post underplaying his physique in Parmanu: The Story Of Pokhran, John leaves no stone unturned in displaying his gigantic body throughout the film. From the first frame he’s just out there lifting people, throwing them around, burning them & what not. He gets to do what he craves for and it’s a delight to see him in his elements. Manoj Bajpayee does what he do the best – act! At some minor places he tries to be someone he isn’t but in the end that’s what acting is all about. Not any major complaint, an entertaining performance in the end. Aisha Sharma is there for very less time but is just about okay for whatever time she’s there. It’ll not be fair to judge her in a small role, let her do something more meaty to analyse her skills. Ganesh Yadav as Damle & Rajesh Khera as Bhonsle leave the maximum impact as baddies. Milap Milan Zaveri with Satyameva Jayate shamelessly gets on the ground just with the thought of entertaining people. Never for a scene you’ll feel Milap thinks that this is something ‘a certain section’ will not appreciate and does what he thinks is the best. Many hits, few misses but a honest product overall. Tanish Bhagchi’s Dilbar comes in as a visual treat, Nora Fatehi just soars the temperature with her super-hot presence. Sajid-Wajid’s recreation of Tajdar-E-Haram sounds surprisingly well on screen. From Sarfarosh to A Wednesday, Sanjoy Chowdhury has gifted us some thrilling background scores and Satyameva Jayate is right down his alley. 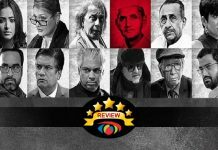 All said and done, Satyameva Jayate provides unabashed entertainment. John Abraham – the Indian Hulk, Milap’s seeti-maar dialogues will make you miss the times when masala entertainment was a trend in Bollywood. Share with us your experience of watching Satyameva Jayate. 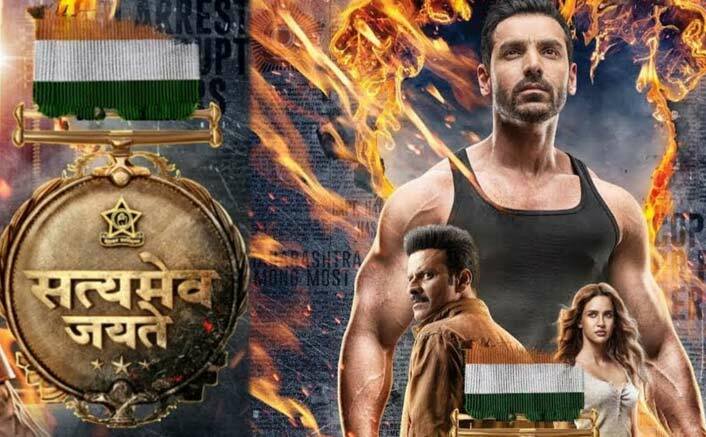 Satyameva Jayate Box Office Advance Booking: Best Start Ever For A John Abraham Film!